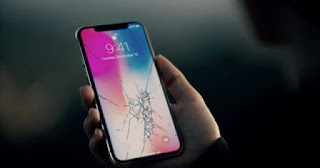 The latest updates of Apple's mobile operating system, especially iOS 11.3 , are giving problems to users who have replaced their screens in third-party stores . But now it turns out that the screens repaired by Apple are also giving many problems. What's going on? Do not worry, iOS 11.3 will not physically break the screen of your smartphone ... But it could cause very serious damage related to the functionality of the automatic brightness of the screen. If you have accidentally broken the screen of your iPhone, you will know that its repair is very expensive . Unless you have contracted the AppleCare + service. That is why many users end up choosing to resort to third party repairs. 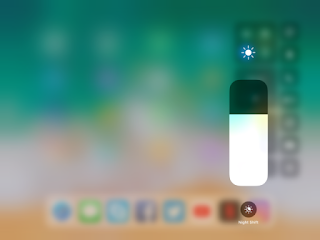 The problem in question is that if you put an Apple screen as a replacement on an iPhone 8, an iPhone 8 Plus or an iPhone X, the device will not be able to adjust its brightness automatically . The repair community has verified this serious problem in mobile phones from the United States to Australia. It's bad. Very serious. Imagine that your new iPhone screen is broken. Disappointed, you go to the nearest Apple Store (although the trip takes you hours) to repair your screen through the official repair service. You get the illusion after spending up to 320 euros when, suddenly ... one of the most useful features of iOS 11.3 stops working. Very serious, right? It seems that Apple made the hardware components of the iPhone merge with the motherboard in the process of assembly, so that they are able to detect if the components have been changed during the start of the execution of iOS. We know how Apple usually operates in this type of case. Having such a closed ecosystem not only protects the safety of users and provides a certain level of security, it is also a way to significantly boost the company's income with accessories, adapters, platforms, services and ... yes, repairs. 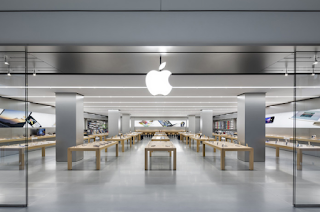 Although third-party repairs are completely legal, Apple has always recommended not doing so. In fact, if you try to replace the Touch ID fingerprint sensor, it will stop working . Maybe that's why Apple decided that their devices detect when the replacement of a component occurs.